A little more than a year ago, Facebook crashed the unified communications party. The largest social network in the world launched Workplace by Facebook, a collaborative platform for business communications. Facebook said last month more than 30,000 organizations use Workplace by Facebook worldwide, which is more than double the amount from April 2017. Some big-name customers are using Workplace by Facebook, including Walmart, Heineken, Spotify and Lyft. Walmart, as one of the largest companies in the world with 2.3 million employees, is especially noteworthy. Facebook, at last tally, has more than 2 billion monthly active users of its consumer product. Because of their respective sizes, both Facebook and Walmart have nearly unmatched scale, said Jon Arnold, a unified communications analyst, in a recent webinar. By landing one of the largest retailers in the world, Workplace by Facebook has shown it’s a serious offering that businesses could consider. Business Facebook is not the same as consumer Facebook. Workers are not exactly posting pictures of their pets, kids or favorite meals. But Workplace by Facebook exploits the familiarity users already have with its consumer interface, thus giving it a huge advantage over other collaboration services. Workplace Chat features messaging-centric collaboration and a newly released desktop app. Enterprise IT groups would certainly favor a service that’s easy to deploy and use, which helps with end-user adoption. At the same time, IT does not have to provision and support these software-based, messaging-centric services since lines of business can easily download them and start collaborating. 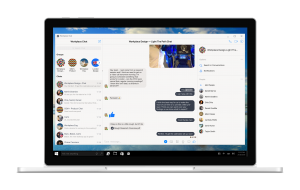 Workplace by Facebook, which has a free version, includes messaging, voice and video calls, live video streaming, file storage and the ability to create work groups. Enterprise features include administrative controls, single sign-on, and APIs for custom integrations and bots. Other enterprise features include integrations with e-discovery, compliance providers, G Suite, Windows Azure Active Directory and more. Workplace by Facebook and many other similar services — including Slack, Cisco Spark and Microsoft Teams — are looking to capitalize on the popularity of messaging communications. Additionally, a young generation of workers, now flooding the job market, prefers messaging over voice communications. Messaging in the business world has evolved in three waves, Arnold said. The first wave of disruptors included services like Slack, HipChat and Redbooth, among others. These apps focused intently on persistent, short-form messaging that addressed collaboration gaps. Next, traditional and established UC providers adapted and launched messaging tools or acquired them. UC vendors were late to adopt messaging since they were relying heavily on legacy applications. Now, a second wave of disruptors has surfaced with the likes of Facebook and Amazon — two names that are too big to ignore, Arnold said. Earlier this year, Amazon launched Amazon Chime, a UC service that includes online meetings, video conferencing, calls, chat and the ability to share content. As discount retailer Walmart competes with online retailer Amazon, the former needs to make the in-store buying experience more compelling to keep people from buying online. One way to do that, Arnold said, is to empower workers in the stores to be more responsive to customers. Mobile messaging devices and apps can connect employees to get information for customers. Traditionally, Arnold said, retailers like Walmart are late to adopt technology. As a result, retailers need to deploy technology that’s easy to use, which streamlines end-user adoption. 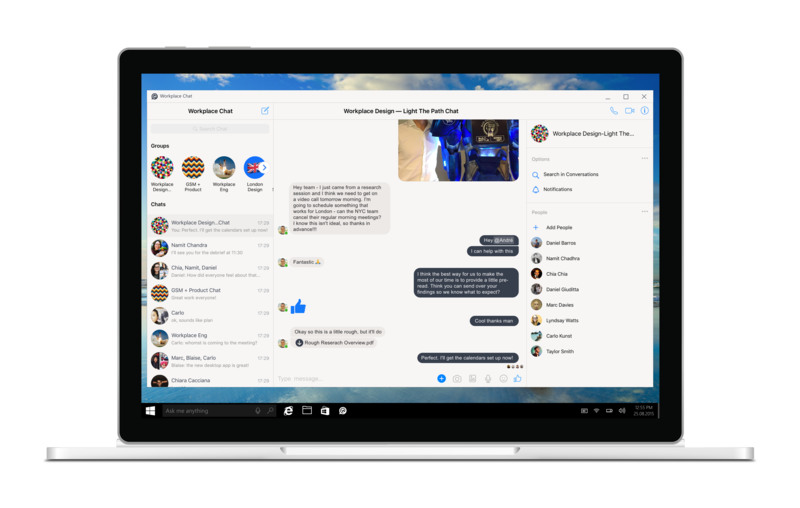 Workplace by Facebook offers that ease of use with an interface that’s familiar to users. Ease of use, in particular, is a strong point for second-wave disruptors Facebook and Amazon; and that strength should help them in the business market. Historically, established UC vendors have not been so focused on ease of use, Arnold said. Facebook and Amazon also know how to engage with consumers. And since they’ve saturated the consumer market, Facebook and Amazon need to tap the business market to feed their own growth strategies. Going forward, what if Facebook and Amazon become preferred enterprise communications channels and standardized certain protocols and codecs around their platforms? Because of their scale, other UC services would need to fit into the Facebook and Amazon models. Could you imagine? You might not have to for much longer.